To learn wise sayings and in particular, children honouring their parents. Then ask what the meaning to the sayings are. Proverbs is a book of wise sayings, mainly written by a wise man called Solomon. Following them it makes us wiser people. Read proverbs 1v1-9 and consider the importance of being wise, heeding God and listening to your parents teaching. Proverbs 4v13: Always remember what you have been taught. Don’t let go of it. Proverbs 13v4: THe lazy person will not get what he wants. 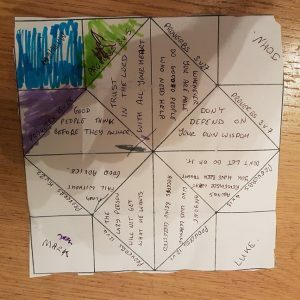 a) To make a spinner containing the proverbs sayings. Use the template and fold to make the chooser . 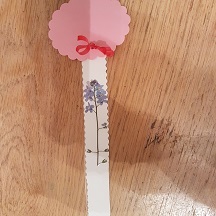 b) To make ‘Forget Me Not’ bookmarks. 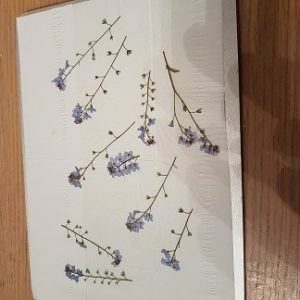 In the summer I went and pressed some ‘Forget Me Not’ flowers. Stick the ‘Forget Me Not’ flower onto the other side. Lamenate the bookmarks, cut them out and puch a hold in the top. It might be worth doing this before the study. Cut out a label for the children to add their comments. 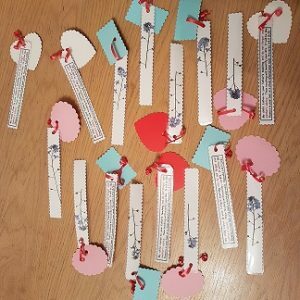 With a piece of ribbon, let them tie their label to the bookmark.